Kasos or Kassos This is the southern end of the Dodecanese, as if it were to meet Crete by sailing out in the Carpathian Sea. The land is mountainous and rocky with few areas suit­able for agriculture. 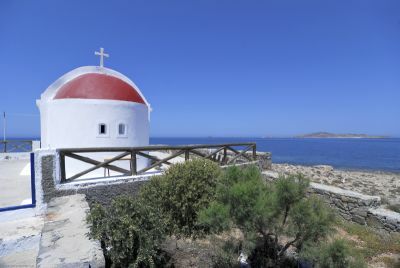 The visitor to the mountains of the island will find rare wildflowers and bird’s species. As for the varieties of fish, the waters of Kasos are full of the common varieties found in the Aegean and they are of excellent quality. 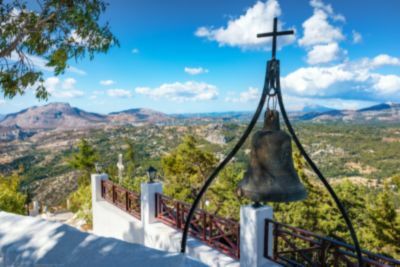 On the western side of the island of Rhodes, approximately five kilometers south east from the village of Theologos (or Tholos), there lies the Valley of the Butterflies - also known as Butterfly Valley (Petaloudes in Greek). 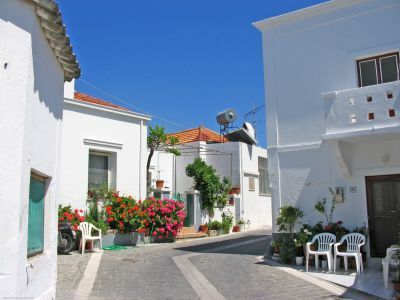 This is one of the most attractive destinations on the island. 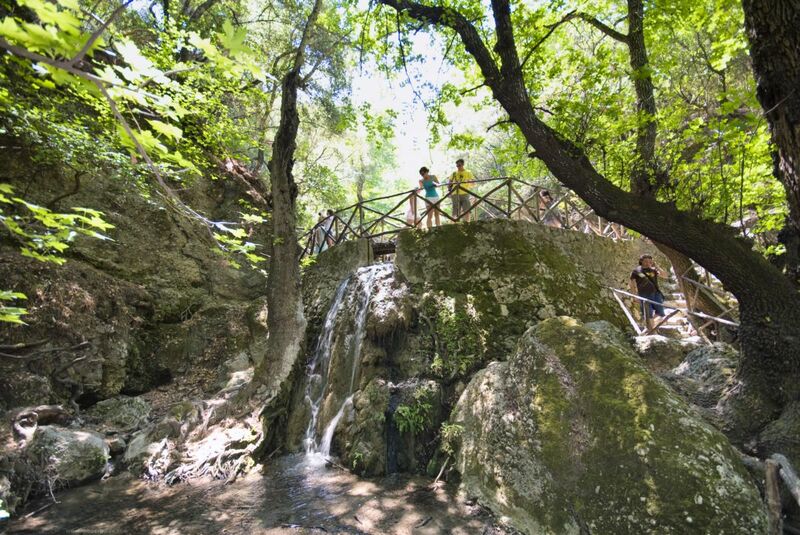 The Valley of the Butterflies is another one of the landmarks of the island: the "Zitia" tree, which is found in a few parts of the Mediterranean, hosts millions of butterflies that peacefully hang in the shadowy wet paths it creates with the brook, which sometimes is transformed to lakes and small waterfalls. During August, thousands of butterflies of the genus Panaxia (species Quadripunctaria Poda) swarm into the buttefly valley in order to reproduce. During the rainy period, the butterflies, still in the caterpillar stage, remain in the Mediterranean thicket (arbutus, myrtle and rush) feeding on the foliage. As the end of the wet season approaches, towards the end of May, the final stage is concluded and the butterfly in all her perfection makes her appearance in the form recognizable to us all. 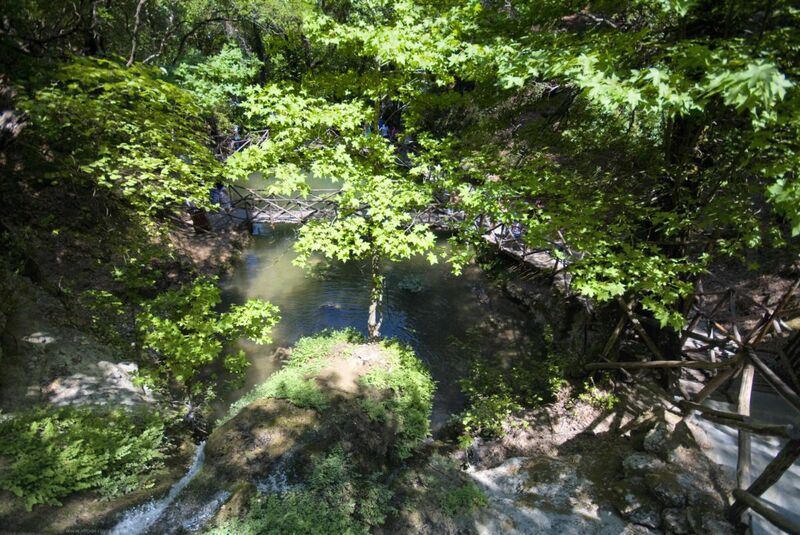 They move constantly towards areas of highest humidity is greatest, always following the "water ways", as the dry period progresses, they finally arrive at the valley. Unfortunately, over the last few years the population of the Panaxia butterlfy has been constantly in decline, due to several factors, one of the most important being the disturbance by visitors. The butterfly has an atrophic peptic system, meaning has no stomach. From May until the mating period (for the males), and until the egg lying period (for the females) they do not eat. They survive from the energy stored from their previous lives as caterpillars. The disturbance of visitors is forcing the butterflies to fly all day, consuming valuable energy. Visitors should not be denied the enjoyment of viewing the butterflies at rest, but it is prohibited to disturb them in any way (hand clapping, whistling etc). 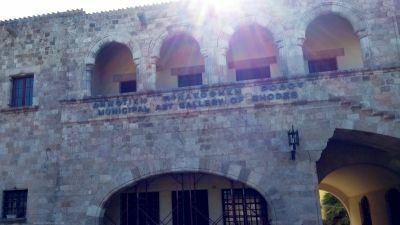 The Natural History Museum of Rhodes operates at the entrance of the valley. Among the exhibits are endemic and rare species of the broader area of the Valley, which are displayed in cases representing the conditions of the natural environment. Back in 1966 I spent my honeymoon on Rhodes. 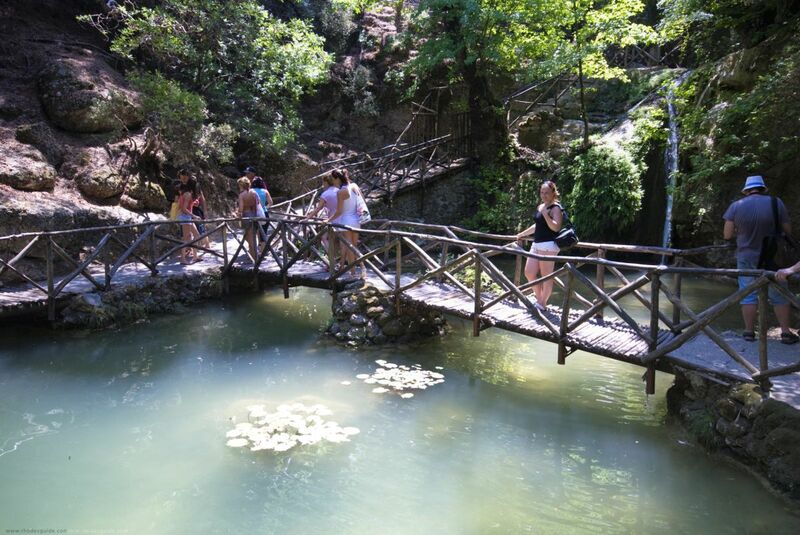 There were many great places to visit and Valley of Butterflies is one of the most memorable. An absolutely stunning visit with nature and those beautiful butterflies remain vivid after all these years. A must see if anywhere near the amazing island. I VISITED THE ISLAND OF RHODES MANY YEARS AGO. A brilliant place to go and see. Especially in the high season as you not only get to see the amazing wildlife (there is much more there than just the butterflies!) It is so cool down there in the shade! It's just a shame we lost our transport for an hour after we emerged at the far end and got a litte lost!!!!! I'm not saying this because I'm Greek, but Valley of the Butterflies is the perfect place to take great pictures. I took 60 pictures there. The trees, the butterflies, the bridges... It's a magical place! Valley of the Butterflies is a must. We saw tree frogs and tree crabs. it was unbelieveable. even a turtle. Its so nice dont miss it. Fantastic, you must go there it is so beautiful, I recommend it. Beautiful place. We went there in August and saw the butterflies - its almost like a dream.